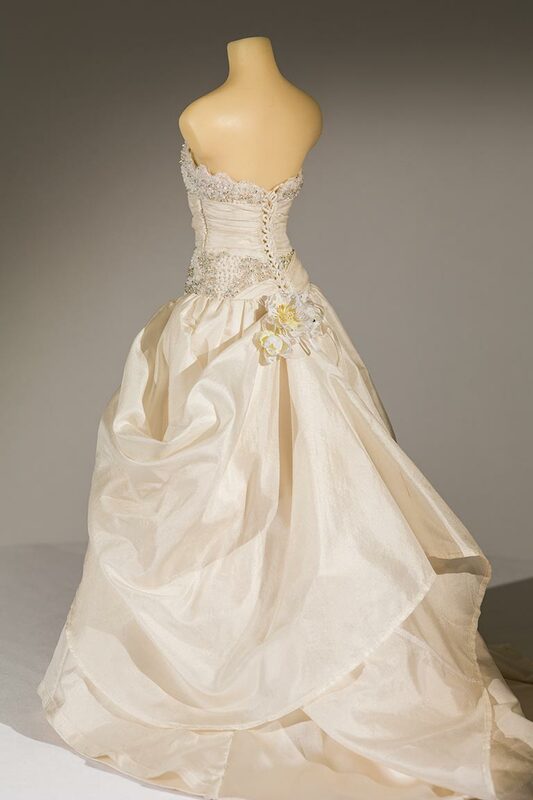 Annabel decided that she wanted to have a vintage wedding dress for her December wedding deep in the Devon countryside. 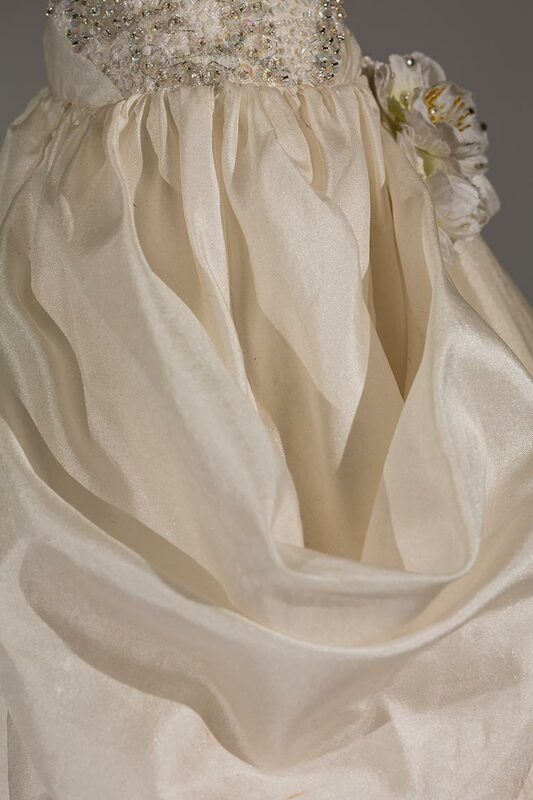 She wore a Lal d’Abo designed ivory velvet jacket over the dress in the church to protect her from the winter chill. 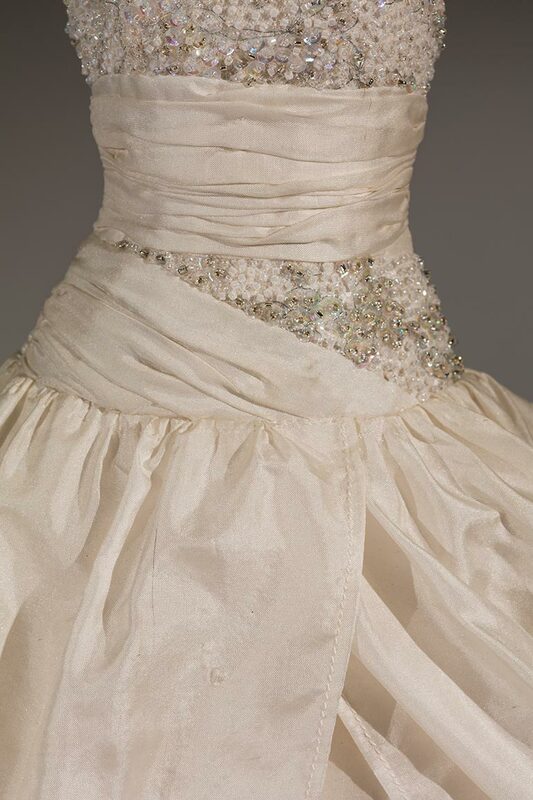 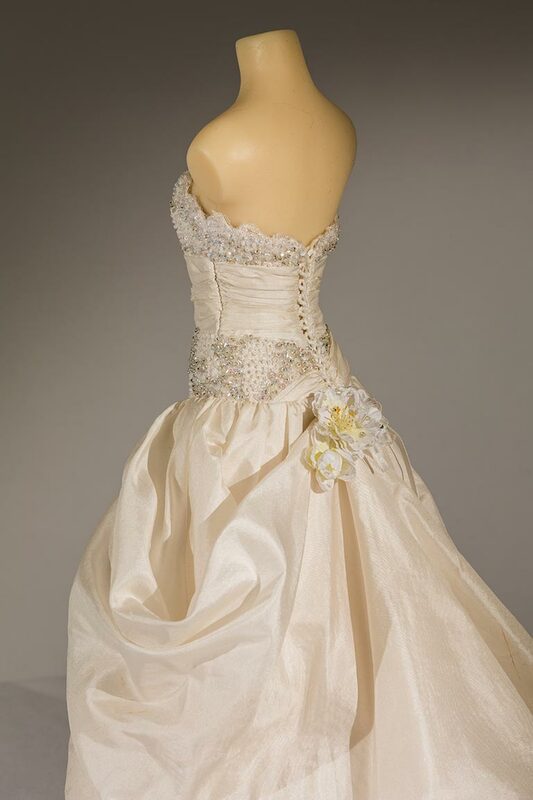 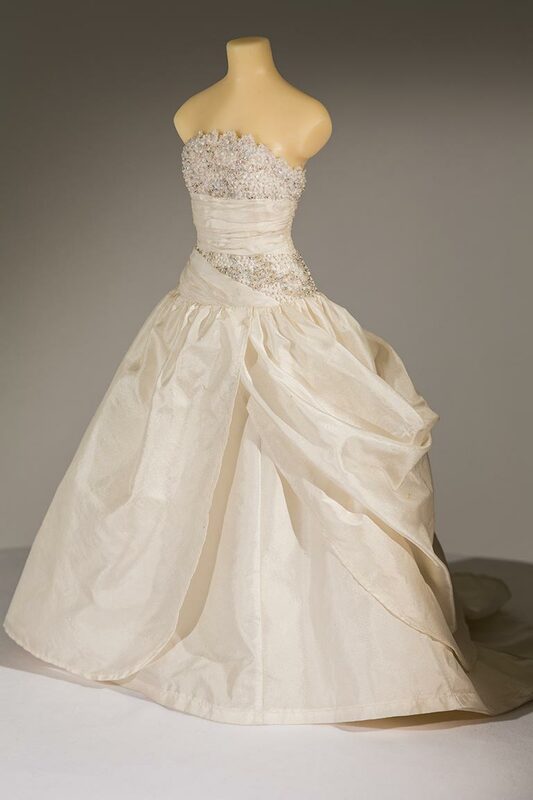 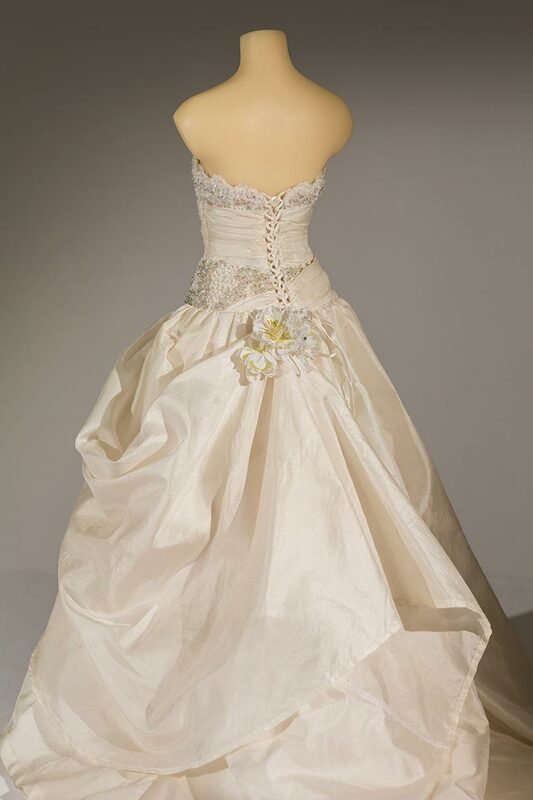 The dress itself has a draped ivory taffeta skirt, held up at the hip with a decorated floral corsage. 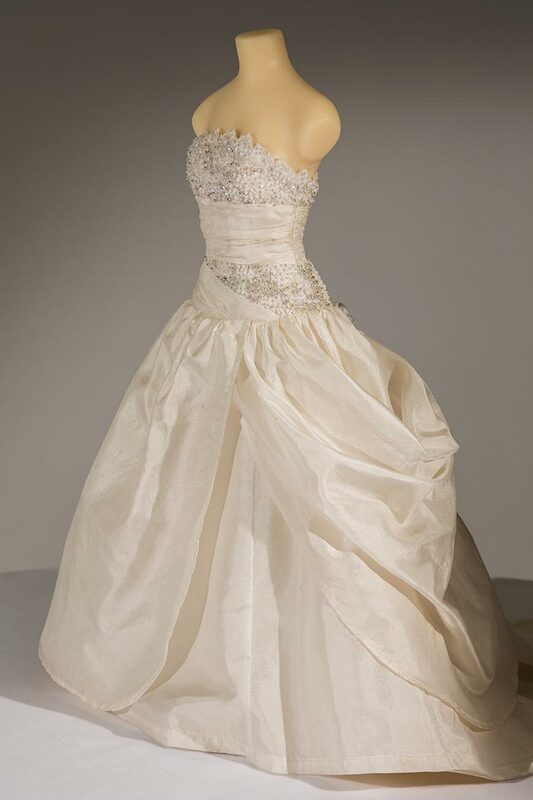 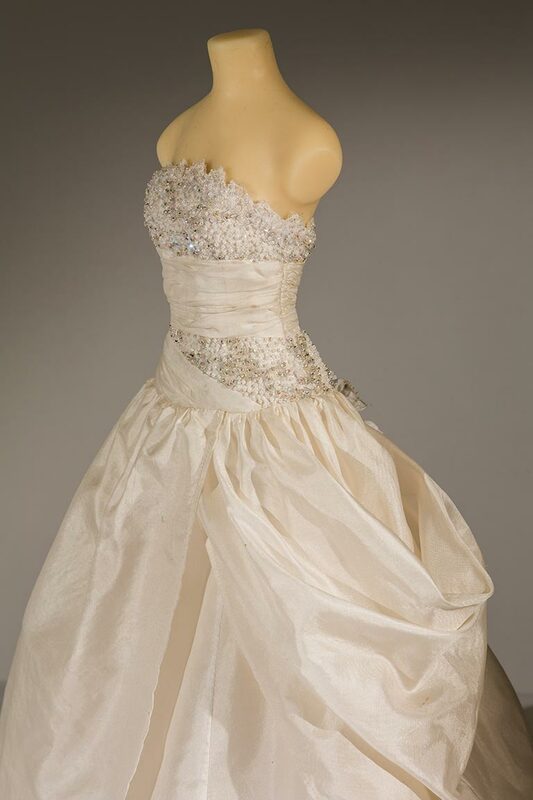 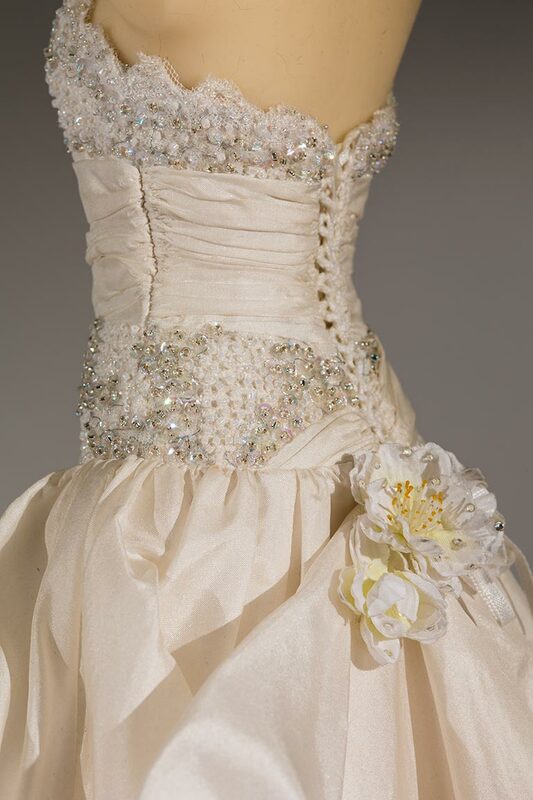 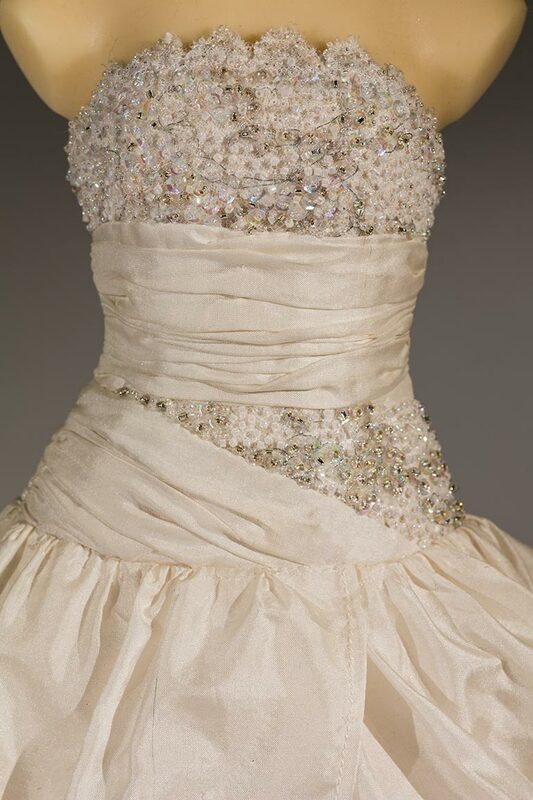 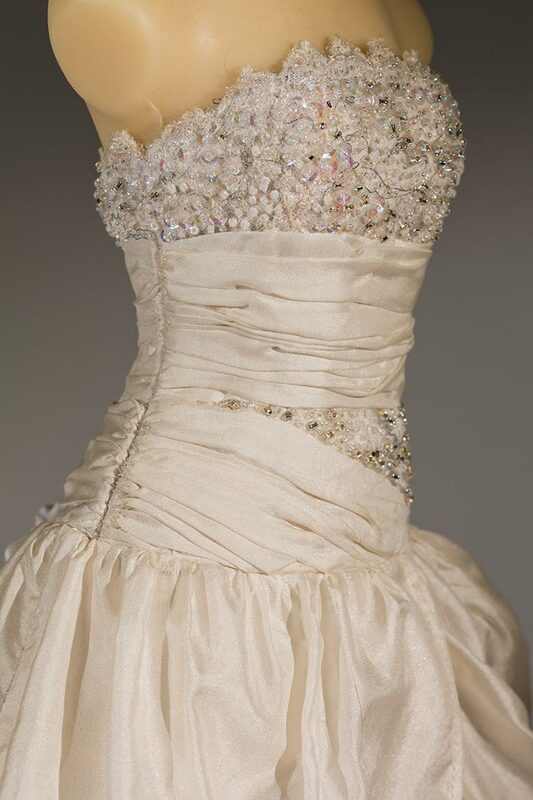 The bodice is ruched and is encrusted with crystal glass beads and sequins around the top. 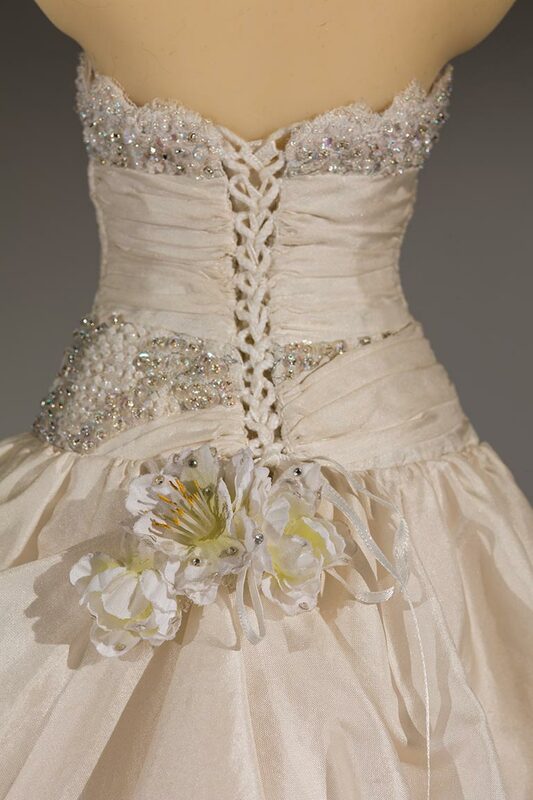 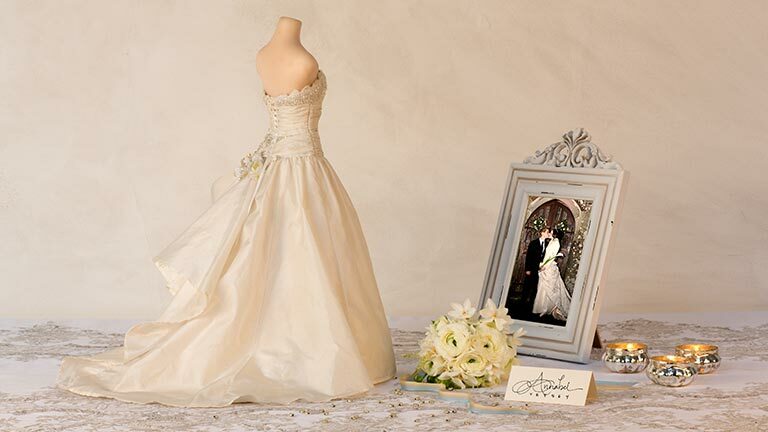 Everything was scaled down for the quarter scale miniature, down to the weight of the fabric, the beading and the corsage to faithfully represent Annabel’s original wedding dress.